Melanged Magic: Where Did I Spend Christmas? Can you guess where I spent Christmas Day? Answer tomorrow with more photos! Well, no prizes for guessing it was beside the sea! But that still leaves plenty of scope. I like the footprints in the sand. 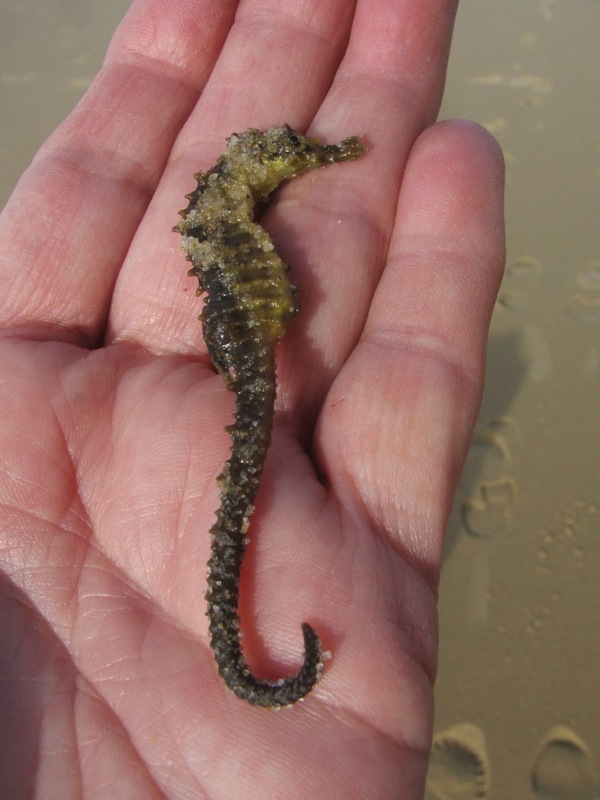 Seahorses are curious creatures, aren't they? Hope you spent a great Christmas, on whichever shores you were. I've seen these little guys in aquariums, but never in their natural habitat. Despite Lucie carrying him around in her mouth for a few minutes, he was still moving a bit, so I put him back in the sea. Hopefully, he survived!